Perth-bound bacon lovers, your time is now. We’ve told you about pizza flavoured ice cream, taco flavoured ice cream, butterbeer flavoured ice cream, even… ice cream made from waste. And those are great, but they were only the precursor to a superior flavour of ice cream. 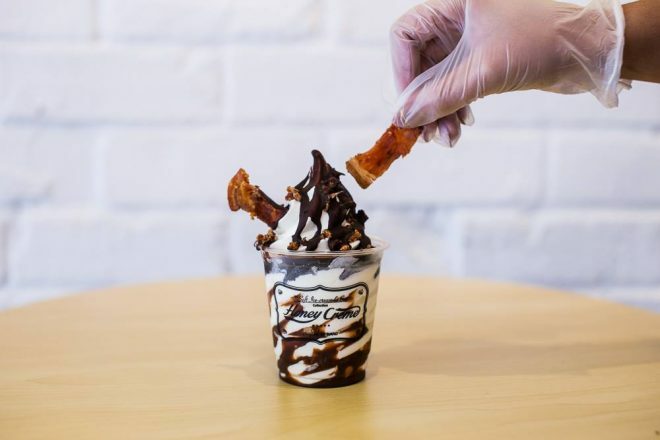 We are, of course, talking about bacon-flavoured soft serve. 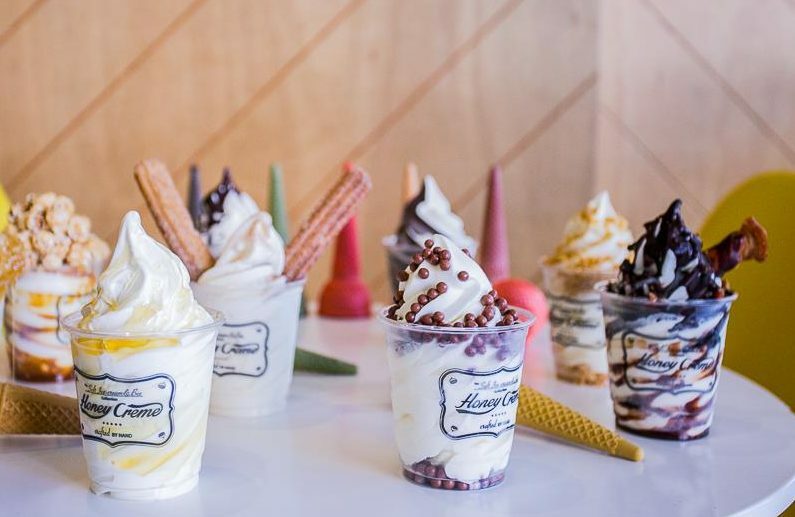 Korean premium soft serve company Honey Creme brought their smooth and creamy desserts to Perth in mid-2017 after expanding into countries like the US, Philippines and Indonesia. The company is famous for its very good ice cream, along with delicious toppings like churros, fairy floss, popcorn and its famous honeycomb. You can find the store and, yes, the delightful bacon ice cream, on Barrack St in Perth. Go forth and gorge. Check out Qantas flights to book your next adventure in Perth.